PURPOSE OF POSITION: Response Operations Director leads the Operations team and oversees the implementation of the response activities. He/she transforms the response strategy into implemented reality, managing day-to-day sector activities and providing technical guidance to the Programmes team for design and programme quality. -Understanding of the international humanitarian system, particularly the systems, structures and key actors. -Understanding of the key accountabilities that must be maintained in a response (beneficiaries, donors, peers). -Ability to lead operational planning processes. -Strong communication skills (oral and written) with ability to express ideas and concepts clearly and persuasively with senior internal and external stakeholders. 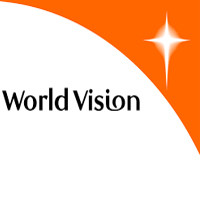 -Ability to work in coordination with other humanitarian organizations. -Ability to analyse and make decisions in challenging situations in the absence of specific guidance and/or full information. -Ability to communicate and model to staff positive behaviors which help them remain resilient and effective in dynamic and high pressure environments.